I was in Atlanta last week for work and every time I travel, I look forward to getting home and cooking. I know several people who just don’t understand that but it’s something that puts me at ease. Also, after eating restaurant food for five days, I just want to eat something that I cooked. Anyone else like that? So, of course, I decided to make chicken. You know, something (not so) new and different. 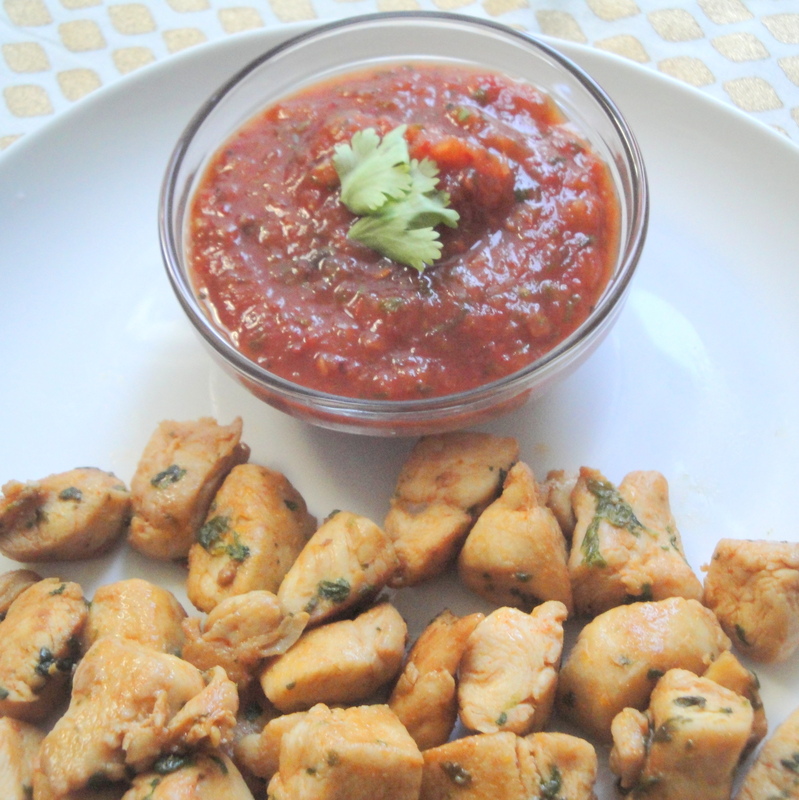 Boring chicken these Chicken Bites with Tomato Mint Salsa aren’t. I’m wowed. 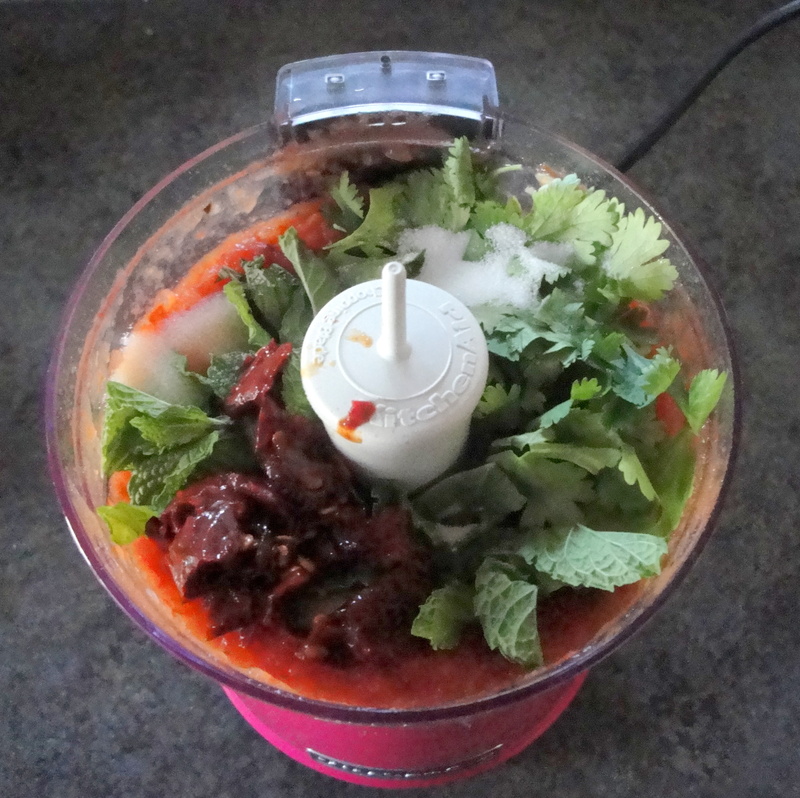 Tomatoes, onion, and jalapeño are broiled in the oven giving them a deep rich, sweetness and then whirled together with chipotles in adobo sauce, cumin and fresh mint and cilantro. 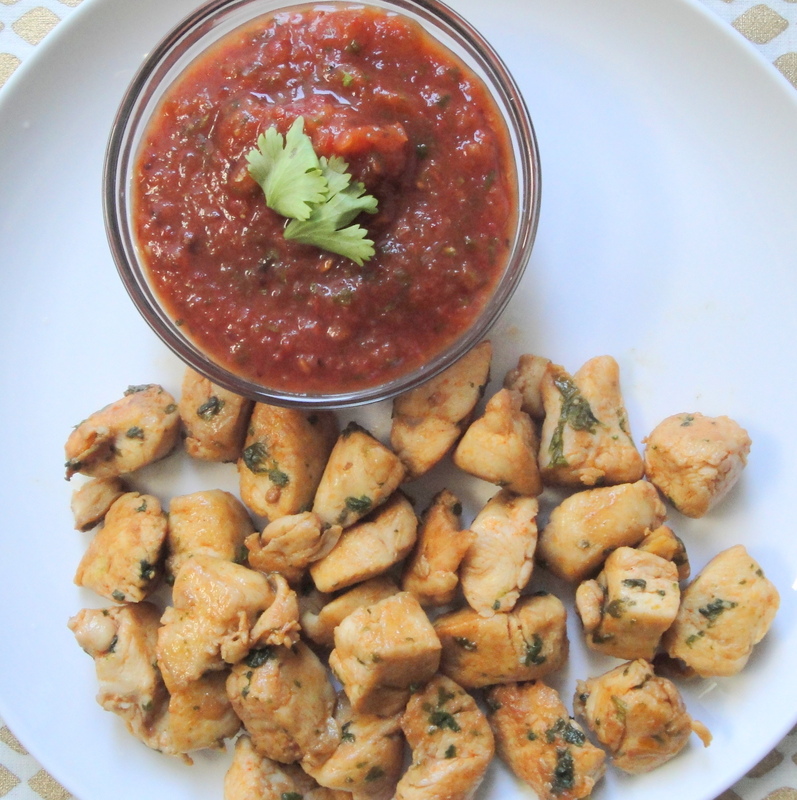 The chicken is seasoned with cilantro and cumin giving it a warm, comforting flavor that mixes so well with the bold salsa. This salsa though…my gosh. Even if you don’t want to make the chicken, make this salsa. It’s bold, it’s vivid, and it’s alive. It makes the salsa from my hotel happy hour last week look like sad, pathetic, lame, boring nothingness. Preheat broiler with a rack set about 4 in. from heat. 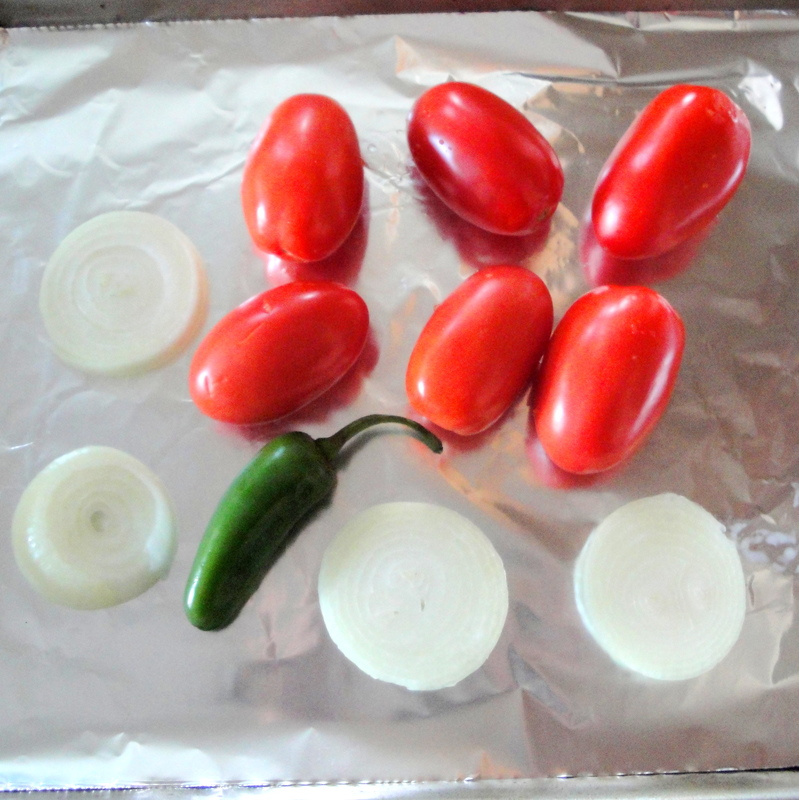 Set tomatoes, onion, and jalapeño on a foil-lined rimmed baking sheet. Broil, turning as needed, until blackened, 15 to 25 minutes; as done, transfer to a bowl and let cool. Peel, stem, and seed chile. 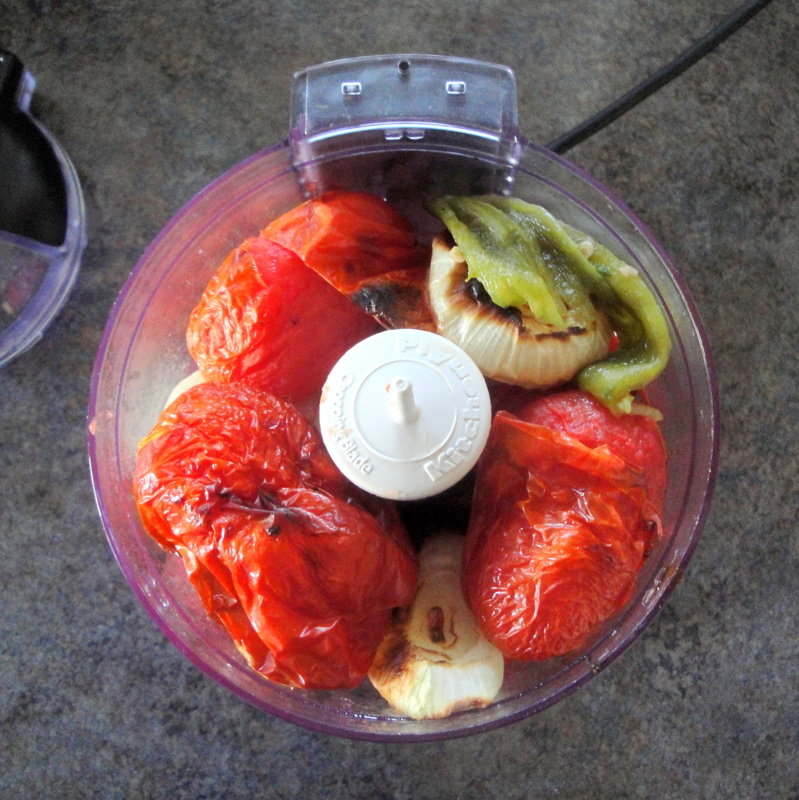 In a food processor, pulse vegetables (including blackened parts from tomatoes and onion) and their juices until chopped. 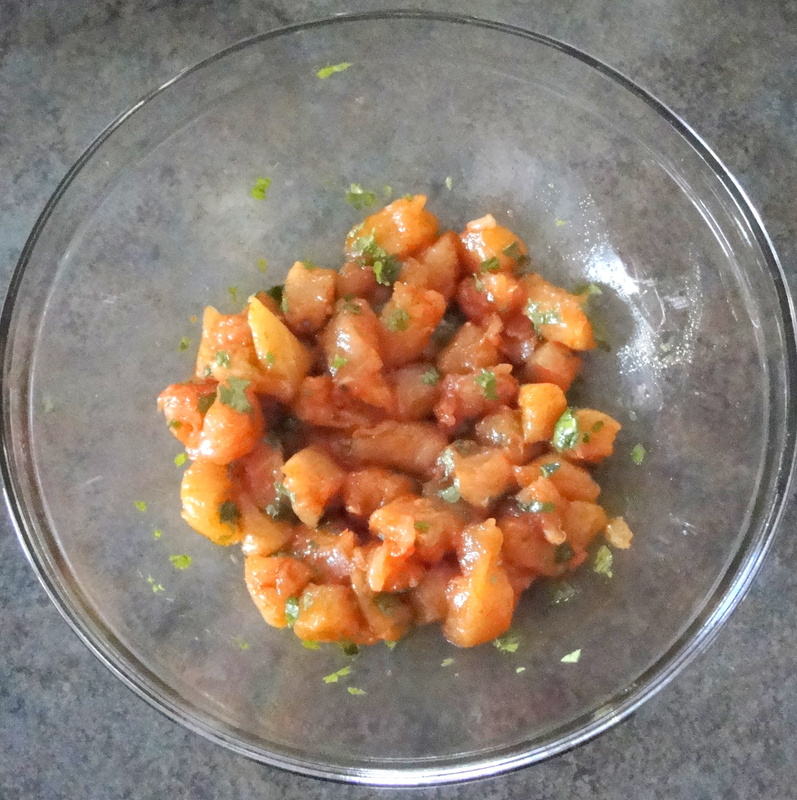 Add remaining salsa ingredients and pulse until finely chopped. Transfer to a bowl. Cut chicken into 1- to 1 1/2-in. chunks. In a bowl, combine 2 tbsp. oil, the cumin, salt, chopped cilantro, and chicken. Heat a 12-in. frying pan (not nonstick) over high heat. Add remaining 1 tbsp. oil; swirl to coat. Cook chicken, stirring and turning once, until lightly browned but still moist, 5 minutes. 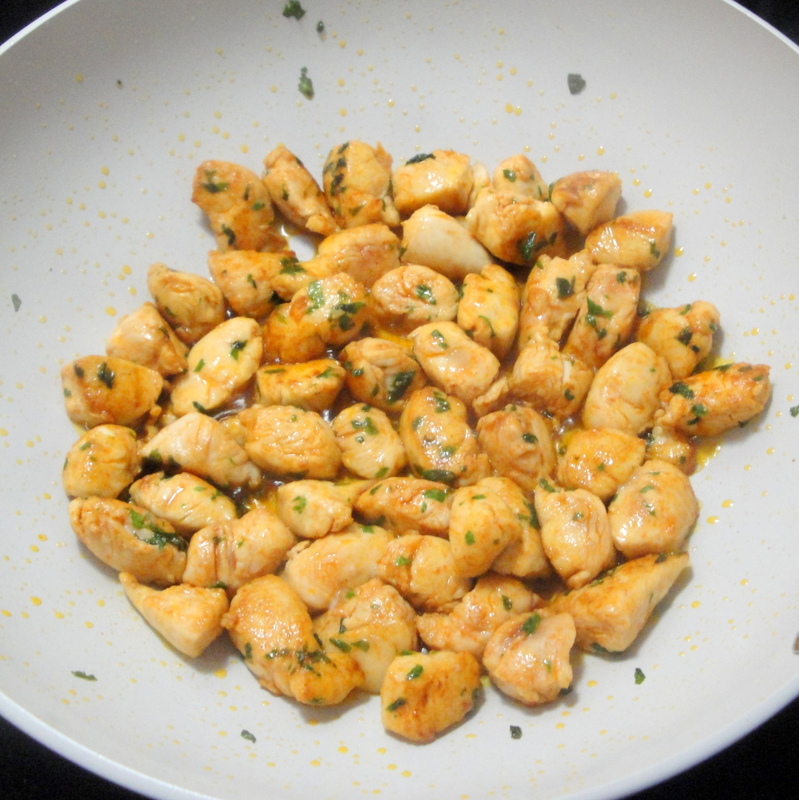 Stir cilantro leaves into chicken; transfer with a slotted spoon to a platter. Serve with salsa and skewers. This chicken looks so awesomely flavorful… I love it! !